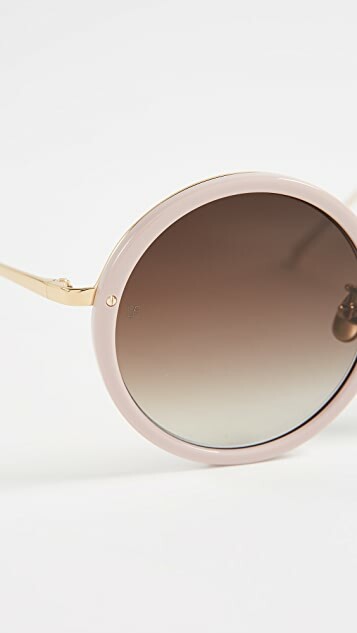 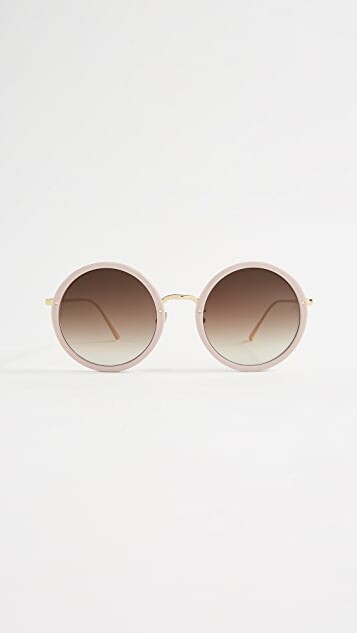 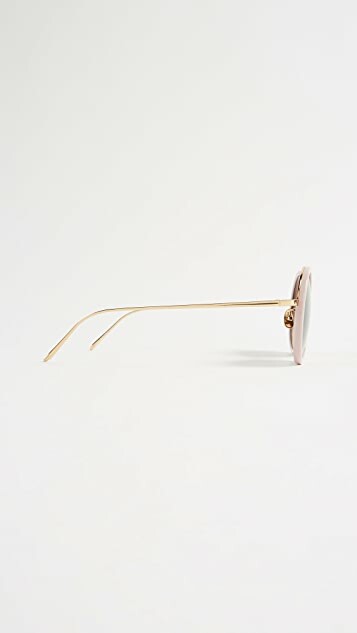 A pair of round Linda Farrow Luxe sunglasses to shield your eyes in classic style. 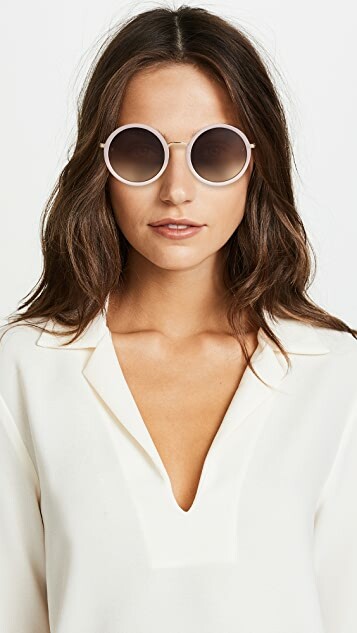 A pioneer in the art of eyewear design, Linda Farrow founded her eponymous label in 1970 and achieved instant success with the stylish jet set. Always on the cutting edge, Linda Farrow debuted some of the most enduring frame designs, including Yoko Ono's signature '70s wraparounds. 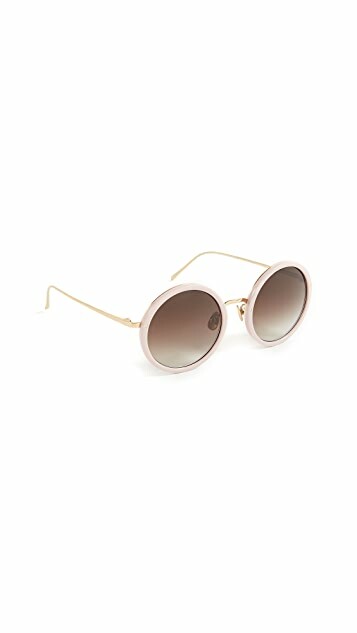 Today, Linda Farrow Luxe sunglasses are favored by such trendsetters as Kate Moss, Madonna, and Kanye West.